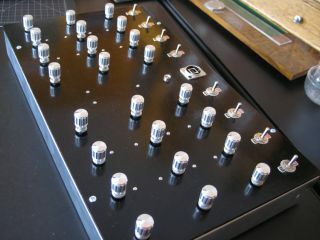 Custom MIDI controllers are all the rage these days, but let's face it: most of us wouldn't know how to go about building one. If you want a bit of insight, check out the video above, which features Dave Cross of 60 Works Controllers explaining how he went about creating a controller for a parametric EQ. Obviously, this isn't a long enough clip to give you all the details you'd need to build the controller yourself, but if you do want to give it a go, you can download an instruction manual here.